Bethlehem is an industrial city in eastern Pennsylvania, about 60 miles north of Philadelphia. The Lehigh River bisects the city of 75,000 residents into halves with the landmark Bethlehem Steel Company plant occupying 50 percent of land on the south side of the river. For over 140 years, heavy metals production supported the local economy and provided the nation with veritable supplies of iron and steel for weaponry, railroads, bridges, and skyscrapers. Mayor John Callahan presented a case study at the Mayors’ Institute in 2004, seeking redevelopment strategies for Bethlehem Works, a 163-acre site that is part of the gargantuan 1,800-acre Bethlehem Steel Company plant. The success of this project required the city to sort out complex landownership issues around the site, restore five iconic smokestacks that loom over Bethlehem’s cityscape, implement a comprehensive parking management strategy, attract an anchor institution to catalyze development, and rehabilitate several structures for adaptive reuse. A year later in 2005, Mayor Callahan presented a case study from Lehigh University at a special MICD Universities session. 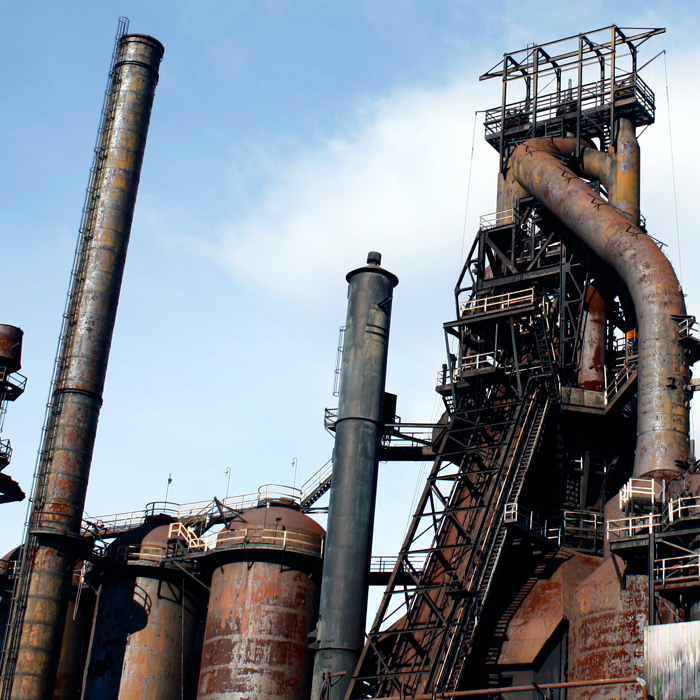 A public-private partnership would then leverage the university’s expansion plan to fulfill the broader revitalization goals in South Side Bethlehem, where the campus and the steel plant are located. With many moving parts and stakeholders involved, MICD’s Resource Team helped steer the new mayor in the right direction, giving him pragmatic tools, ideas, and a clear strategy to move the project forward. Today, the once-neglected brownfield site has been completely transformed into a vibrant public space with active programming of the contemporary outdoor amphitheater, the Levitt Pavilion SteelStacks, for arts and cultural events, community festivals, and live music performances. 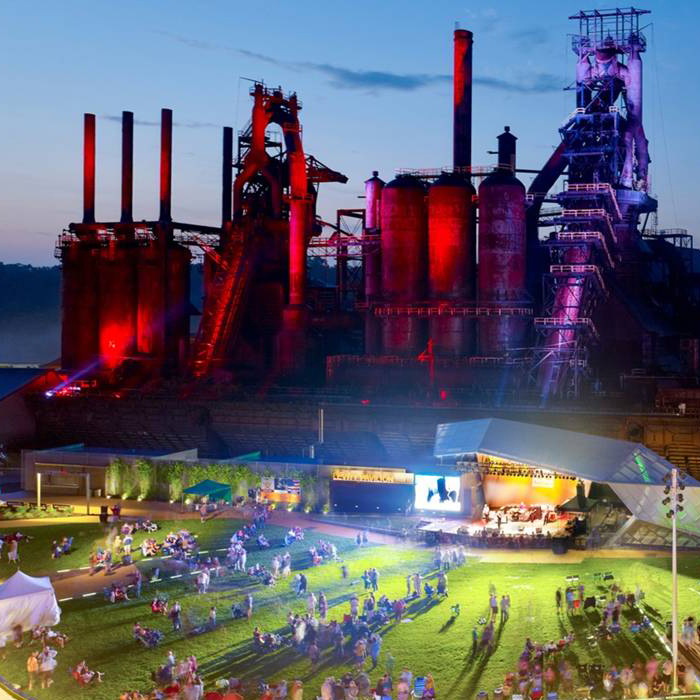 The four-story ArtQuest Center at SteelStacks offers a dramatic view of the plaza against the silhouette of the furnaces in the background. Visitors often describe the view as surreal when they see the space lit up at night, basking in candy-colored lights, and filled with people from all walks of life. To the families, children and grandchildren of steelworkers whose labor went into Bethlehem Steel in its first life, seeing the second manifestation of their beloved site in a beautiful design that pays homage to and showcases the city’s industrial DNA can be an emotional experience. Expressing his complete satisfaction with the outcome of the project, Mayor Callahan asserted, “What MICD did for me was put in place some broad principles and some goals for how to redevelop [the] site. Not only was it instrumental in helping us move forward with a plan for… one of the most difficult sites you can imagine to develop but it also taught me… broader principles of planning and design that I’ve applied throughout the city.” Mayor Callahan served his last term in 2013 due to term limits, but his legacy project will stand the test of time for generations to come.